It’s sad but true. There are lot of uneducated, ill-educated, and intentionally misinformed people in the United States of America. 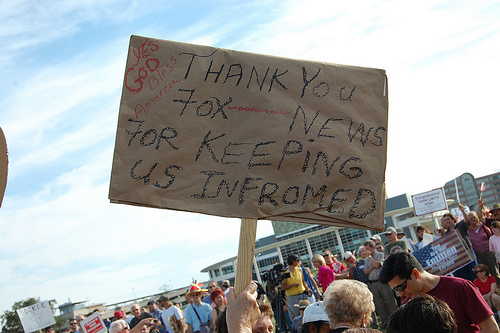 The sign thanking Fox News for keeping us infromed and asking God to bless Amercia, photographed during one of yesterday’s right-wing “tea parties,” is a pretty good example of what I mean. Americans have a love-hate relationship with education. We talk about how important it is that our children get a good education, how important it is for our children to graduate from high school and go on to college. 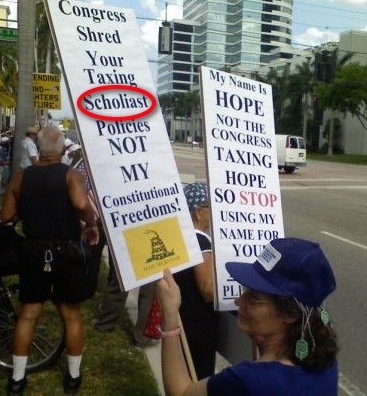 But we label people who are well educated as elitist. The word intellectual is used as a slur. This is a very sad commentary on our society. I was lucky that I was born into a family that values education. I was raised to think for myself, to question authority, to broaden my horizons. When I went off to college, my father told me to study whatever I wanted. I was going to college to get an education, he said, not for job training. College opened up a whole new world to me. I discovered the joy of learning for its own sake. It turned me into that life-long learner that public school districts refer to in their mission statements. 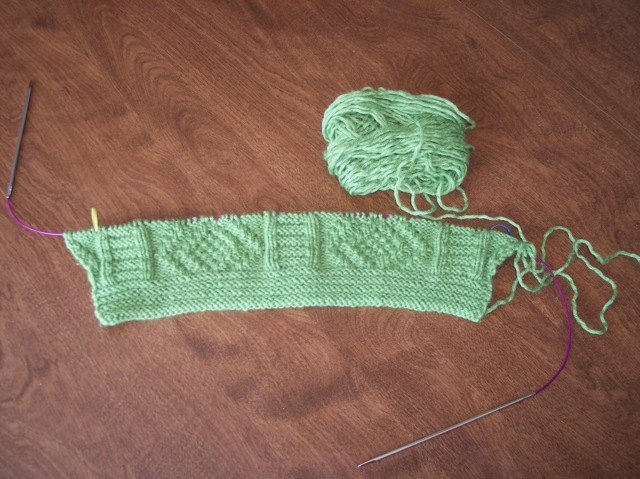 My desire to keep learning new things spills over into my knitting. I’m always trying new techniques, challenging myself with the next step. I’ve gone from being a pattern slave to designing my own. At one time, I would have passed on a pattern that wasn’t written for the size I needed. Now, I figure out how to adjust the pattern. I’m not only not afraid to change patterns to suit my needs, I enjoy the challenge. 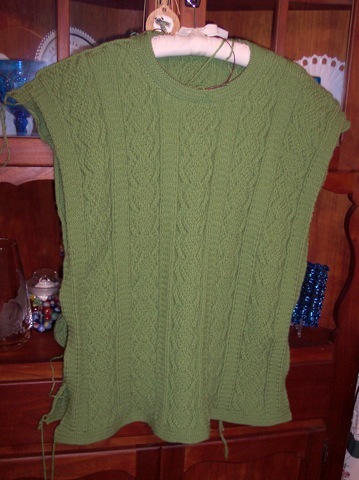 I want to finish Kinsale and Orkney Pi shawl so that I can cast on St. Enda and knit it top-down starting with the neckband, which is something I have never done before.